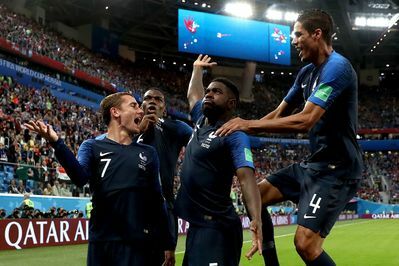 France enter the final as favourites to win their second World Cup crown and their manager Didier Deschamps confident of achieving what a supremely talented squad will see as their destiny. Already beating some of the best teams in the world including Uruguay, Argentina and eventually conquering neighbours Belgium in the semi-finals, the French will believe that they have enough quality to see of England’s conquerors Croatia. They will have to beat one of the teams that have surprised many by reaching the showcase final, who within their squad have some of the very best players in the footballing world. 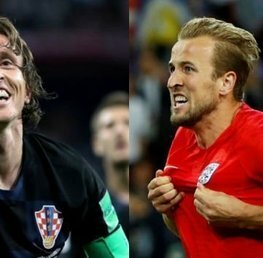 Even though they struggled for periods of the game against England, Croatia used the vast experience within their team to stamp their authority and reach their first ever tournament final. There will be many battles fought within the tie that will potentially determine the outcome, with an intriguing midfield battle in prospect, with the likes of Blaise Matuidi and Paul Pogba facing up against Luka Modric and Ivan Rakitic. With the World Cup title on the line, the urge to dominate this key area could cause tempers to flare. Marcelo Brozovic has been key to allowing his more creative teammates to strut their stuff, and the Croatian defensive midfielder may find it necessary to launch into a last-ditch challenge. Marcelo Brozovic to receive the first yellow card of the game is 12/1 with Betfred. 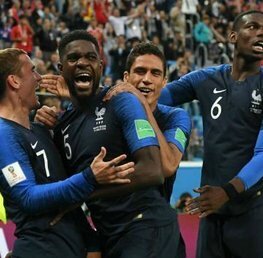 France have been clinical in taking their chances during the tournament, but they may have to be patient against a resolute defence that look to be well drilled. 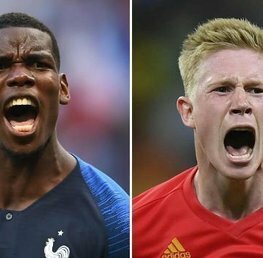 With key players Kylian Mbappe and Antoine Griezmann their main creative flair, their more likely match winners will need to be more on their A game then they were against Belgium, but the prospect of winning the World Cup will spur them on. Kylian Mbappe is 5/1 with Betfair to score the game’s first goal, with Antoine Griezmann 4/1 with Coral to score the game’s first goal. Anything less than a win would be a huge surprise for Didier Deschamps men, but as the old saying goes ‘anything can happen in 90 minutes’ and he will be keen to stress that point to his supremely talented squad. Huge favourites for the win, France maybe confident, but will also be cautious against the surprise package that is Croatia. 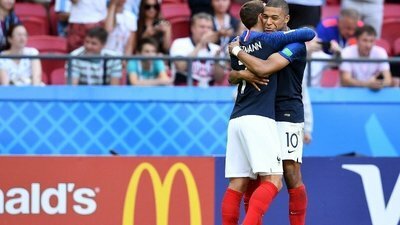 Their defence has been one of the key elements to their final appearance, shutting out the Belgian squad filled with stars, alongside barley giving the Uruguay partnership of Luis Suarez and Edison Cavanni a kick, their discipline and structure has gone unnoticed thanks to the rising star of teenage sensation Kylian Mbappe. Expect France to start quickly, Croatia have played an extra 90 minutes over the week leading up to the final thanks to all their knockout fixtures going to extra time, and Deschamps will have seen many of the Croatian squad struggling with fitness worries during their victory over England. France to be leading after 15 minutes is 6/1 with Coral. An astonishing tournament by Croatia has seen them reach their first International tournament final in their history. With superstars Luka Modric, Ivan Rakitic and Ivan Perisic in their midfield, they will be more than confident of giving their opponents enough of a problem going forward. Their inability to keep England and Russia quiet will be a concern for manager Zlatko Dalic, with a clean sheet seemingly impossible, he will be anxious to inspire his star defender Dejan Lovren to lead the backline better than during their knockout fixtures. The Liverpool centre back has in the last two months featured in the Champions League final and now the World Cup final, despite facing ridicule during the first half on the domestic season. 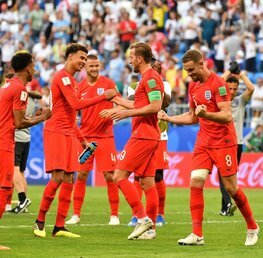 His performance against England, and most notably Harry Kane was superb and he is absolutely vital to the chances of his team coming away with the title. For Dejan Lovren to win man of the match is 40/1 with Betfred. France: 19/20 - Visit Unibet! Draw: 23/10 - Visit Betfair! Croatia: 4/1 - Visit Boylesport! Although France are clear favourites, Croatia have some of the world’s best players that are used to winning major titles, and that experience could prove to work in their advantage. Deschamp’s men will know that they have one hand on the title due to the quality throughout the squad and the potential tiredness within the Croatian team, which could be telling. France to win their second World Cup looks the most likely here. Kylian Mbappe to score to or more goals: 13/1 - Visit Betfair! France to win 2-0: 7/1 - Visit Unibet! France to be leading 2-0 at half time: 12/1 - Visit Coral! Please note all odds are correct at the time of publishing (17:30 14th July 2018) and are subject to change.